This isn’t exactly digital marketing, but it is really, really cool so I wanted to share. Ript Apparel has created this very basic, but very fun trip down memory lane. 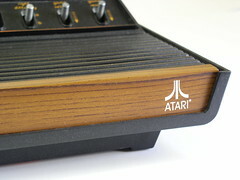 In their infographic, Ript highlights the evolution of video game consoles from 1967-today. From The Brown Box to Wii U and everything in between. There are a few here that I have never heard of and a few that I completely forgot about. Anyone remember the TurboGrafx-16??? I figured that everyone needed a brief escape with everything going on in the offline world. I hope you enjoy this one as much as I did! The 21st Century Dad As we all honor the dads in our lives today and celebrate with cookouts and hardware store gift cards, I thought it would be good to share this little...graphic depicting the modern-day father.